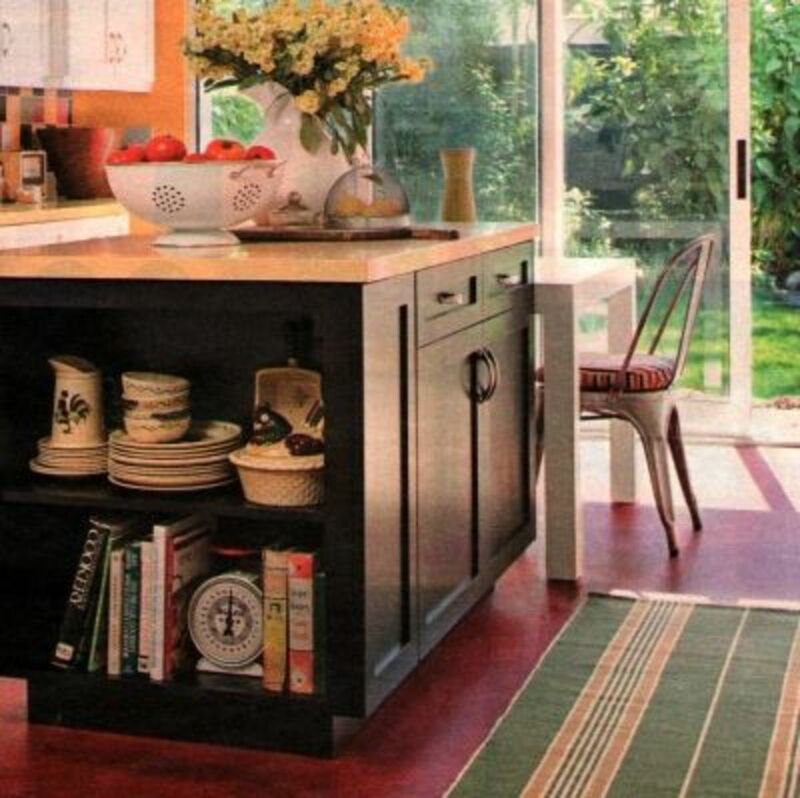 Do you love Retro Style, California Flare & Country Charm? 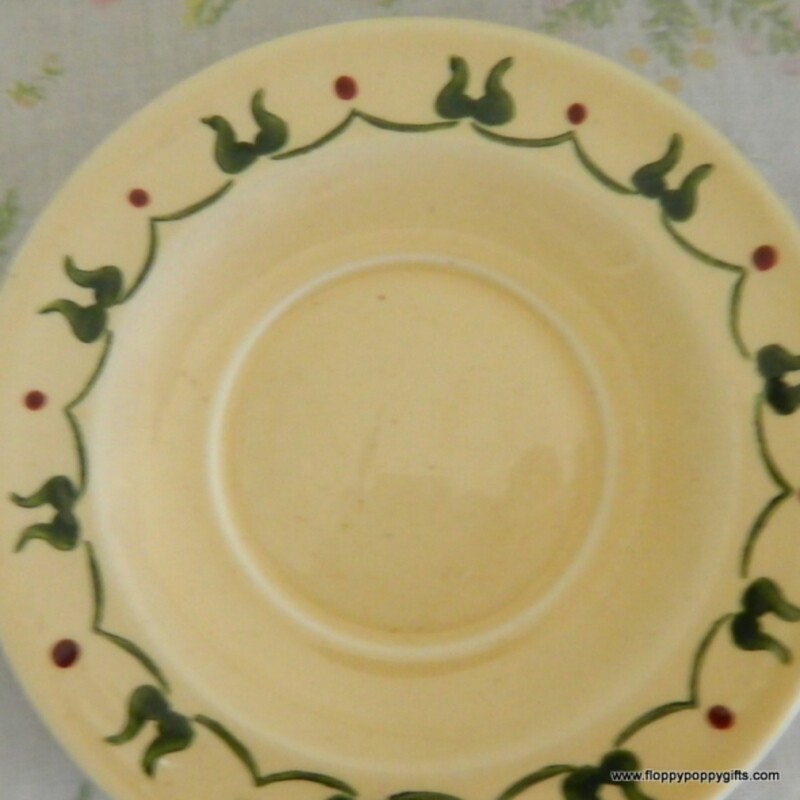 When my mom was little, her grandma collected Metlox Poppy Trail dinnerware. 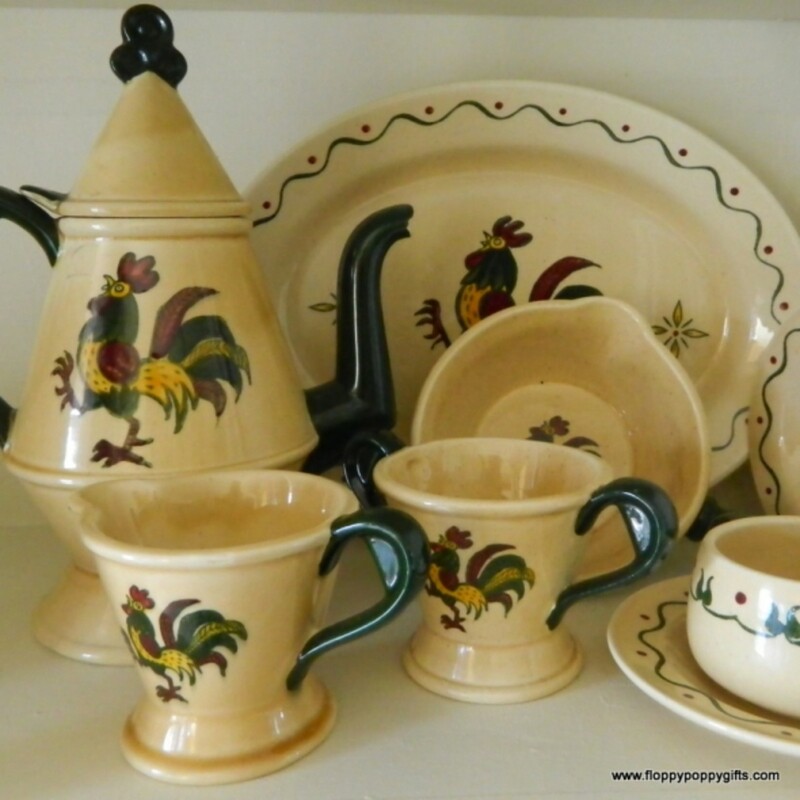 Featuring a stylized red & green crowing rooster on a speckled tan ceramic glaze, the family would buy great-grandma pieces to take over to her house where they assembled for their weekly suppers. I remember the plates being up very high at my grandma's house where we could not reach them. Stowed in a cabinet away from the everyday dishes my sister & I would wash and dry by hand after every dinner in the summertime. I remember not thinking much of them and in fact thinking they were quite ugly! Far removed from the bright and neon colors popular in the 80s. How surprised was I to inherit the plates when I got married? Imagine my dismay when I opened the box and stared down at those ugly rooster plates from grandma's! But, I soon began to piece a story together about our family's traditions and, in the days before the internet, they began to grow on me. It wasn't until much later that I began to research the plates and find they were actually quite sought after and, in some cases, valuable. I soon learned to keep them on display and not use them everyday. Now reserved for Christmas, I really enjoy my Poppytrail collection and try to take good care of it! PHOTO CREDIT: Better Homes & Gardens September 2009 A set of Poppytrail Roosters sit atop a vintage 1950s O'Keefe & Merit Gas Range. One type of stamp underneath. 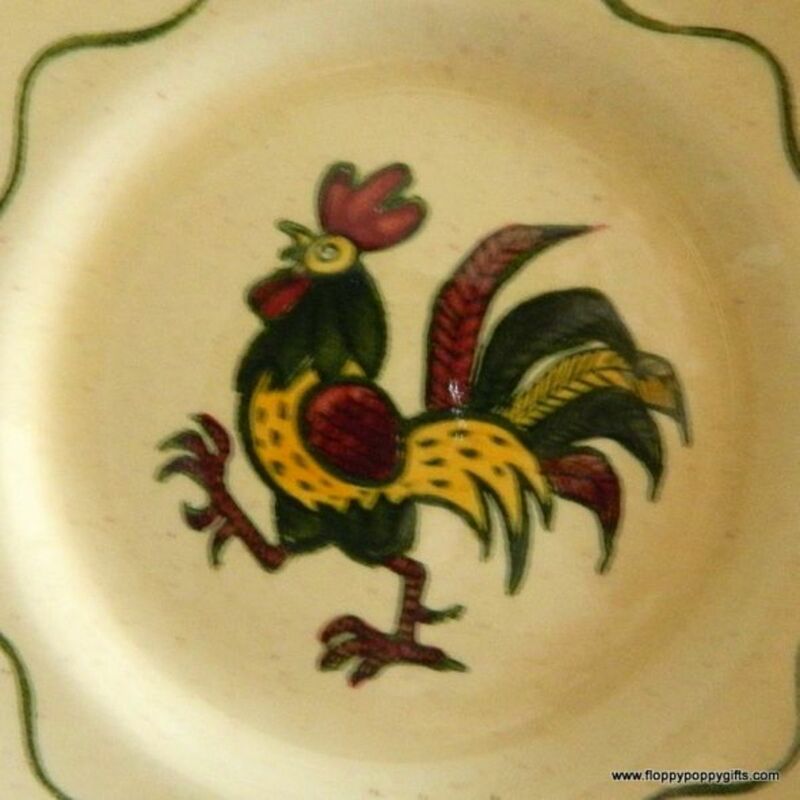 The adorable & signature rooster in red, green & yellow. My slightly beat-up Salt & Pepper shakers. The salt & pepper shakers have a rubber closure that reads "Metlox"
Another stamp on the underside of the creamer. 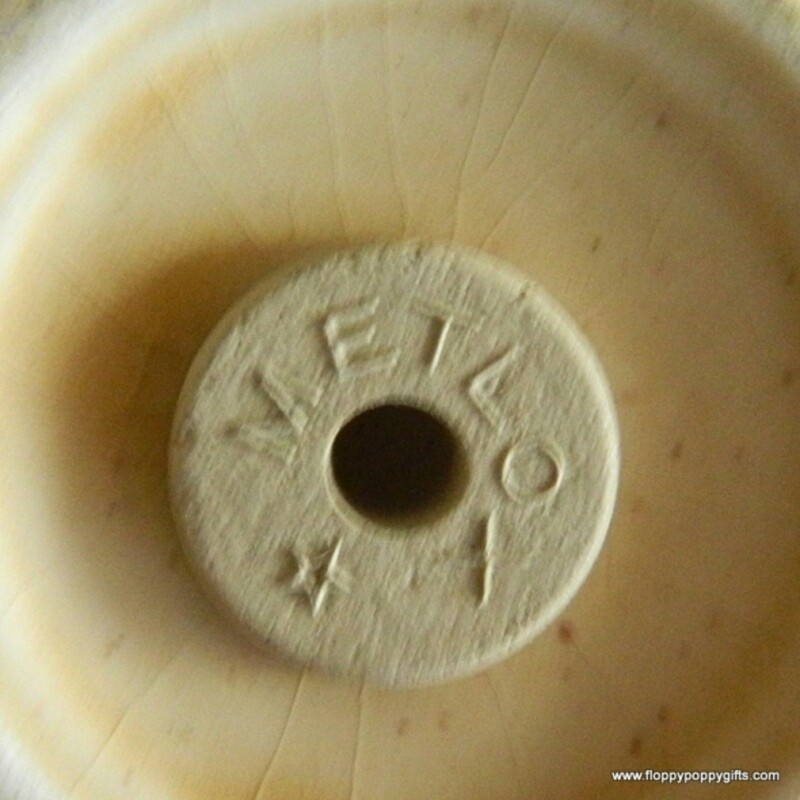 Metlox was a company that made Ceramic dinnerware from 1919 to around 1938. Metlox's name is derived from two words: "metal" and "oxide," referring to the glaze pigments which are laid on top of a mainly talk pottery underneath. It was a family-run company in Manhattan Beach that made everything from architectural tiles, to pottery, theater signs and even shell castings & fasteners for the armed services during World War II. It had many styles of pottery during this time and all the way up through the 70s. Unfortunately, Metlox as a company is not around today, but the legacy can be seen in untold slews of online auctions, antique warehouses and homes across America. You don't have to dig very deep to find information of Metlox the company or their highly collectible designs. A simple internet search on the name will keep you reading for hours! 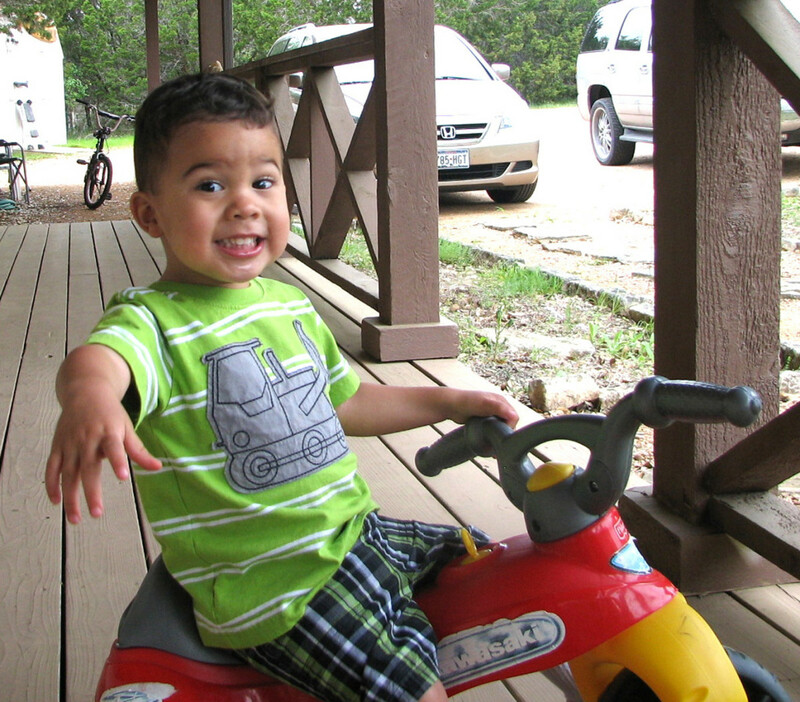 Better Homes & Gardens Approved! Metlox's Poppytrail design motif was the brainchild of Willis Prouty, son of Metlox Founder T.C. Prouty. Willis devised the dinnerware side of the business to weather the Depression. 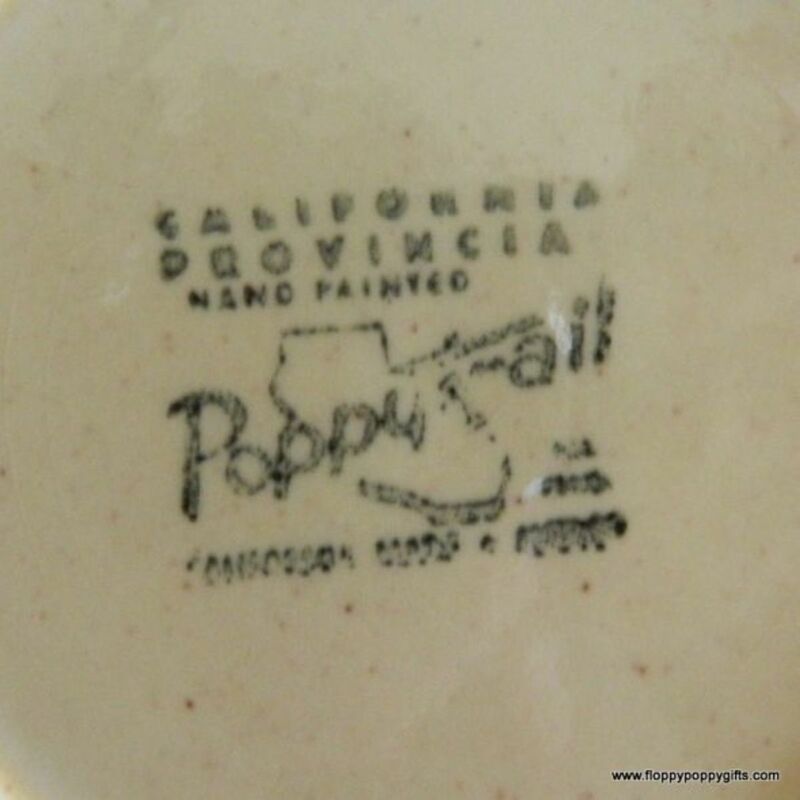 Willis Prouty kept Metlox producing some of the best and most collectible pottery using clay from Death Valley. Three cheers for a uniquely Californian institution & historic product! 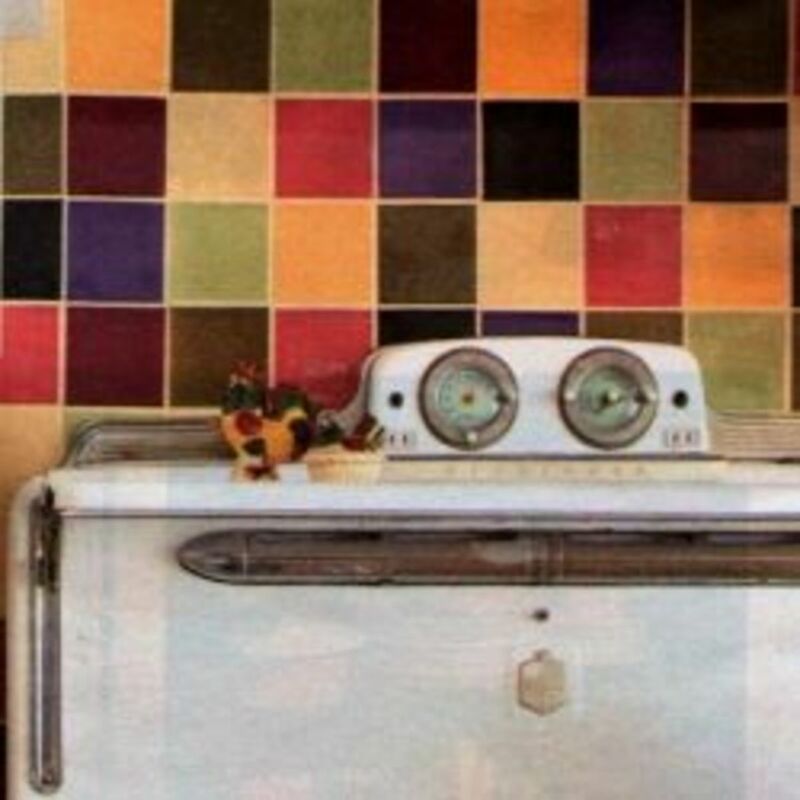 Are Retro Designs Something You Enjoy For Everyday Use or Just Decoration? 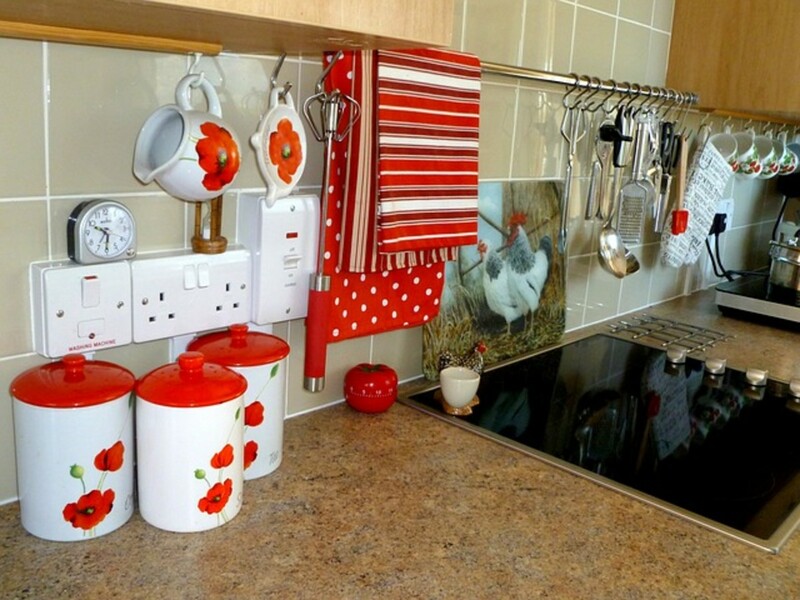 Poppytrail may not be for everybody but there are plenty of cool rooster designs for your kitchen out there. 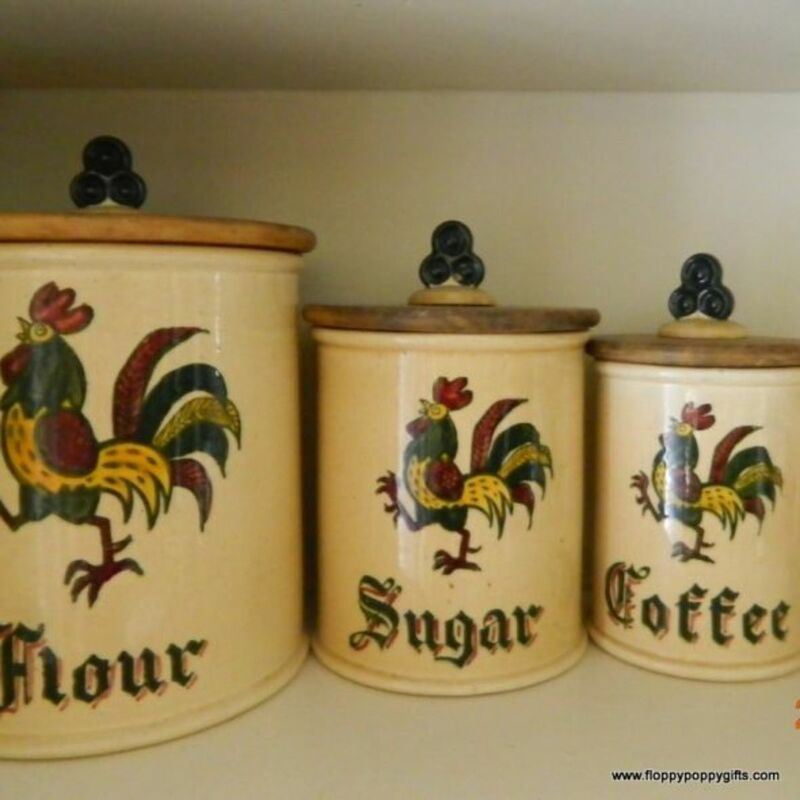 Even a ceramic rooster cookie jar has a lovely way of saying "Good Morning!" 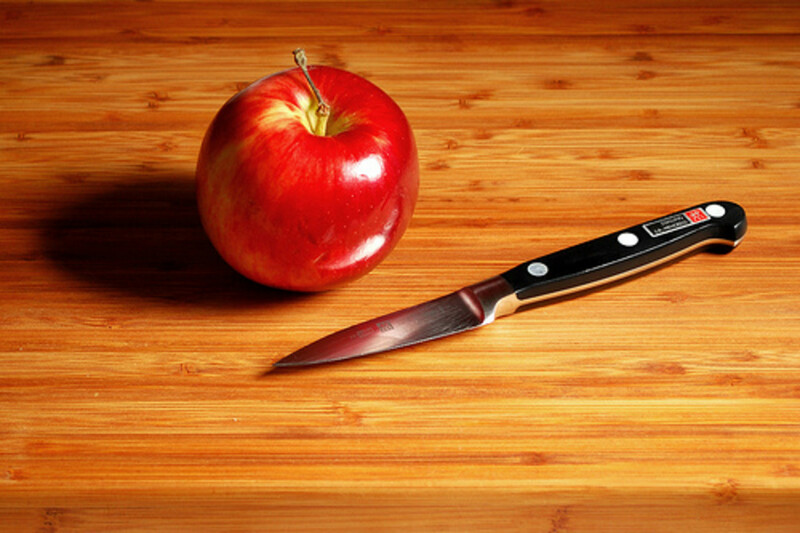 Add some country charm to your kitchen with these fun picks & without breaking the bank. Collectors Guides: Is Metlox For You? You cannot even believe the vast collections of Metlox. The pieces go on & on. My collection is a mish-mosh of pieces that were collected over a few years so that my grandparents have an eclectic selection of pieces. 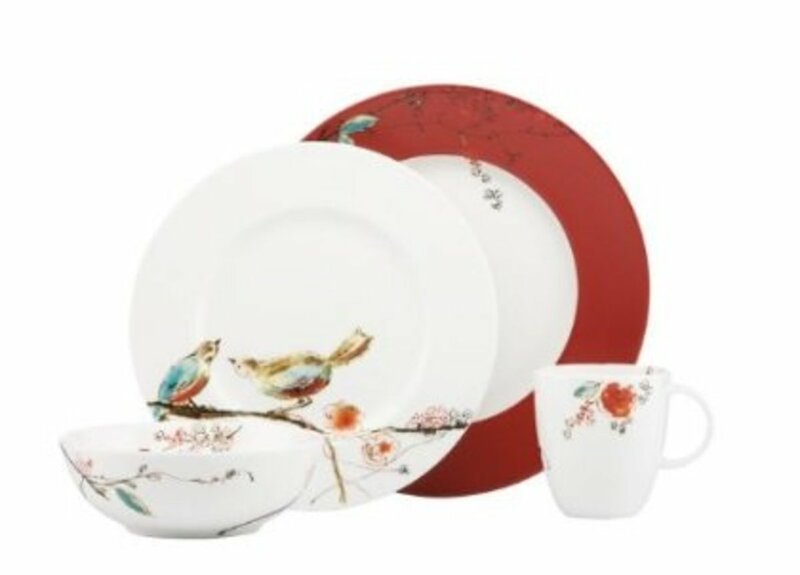 No two collectors have the same set of dinnerware in their homes and I believe that's how Metlox must have wanted it. Metlox is so lovable because it was so diverse. 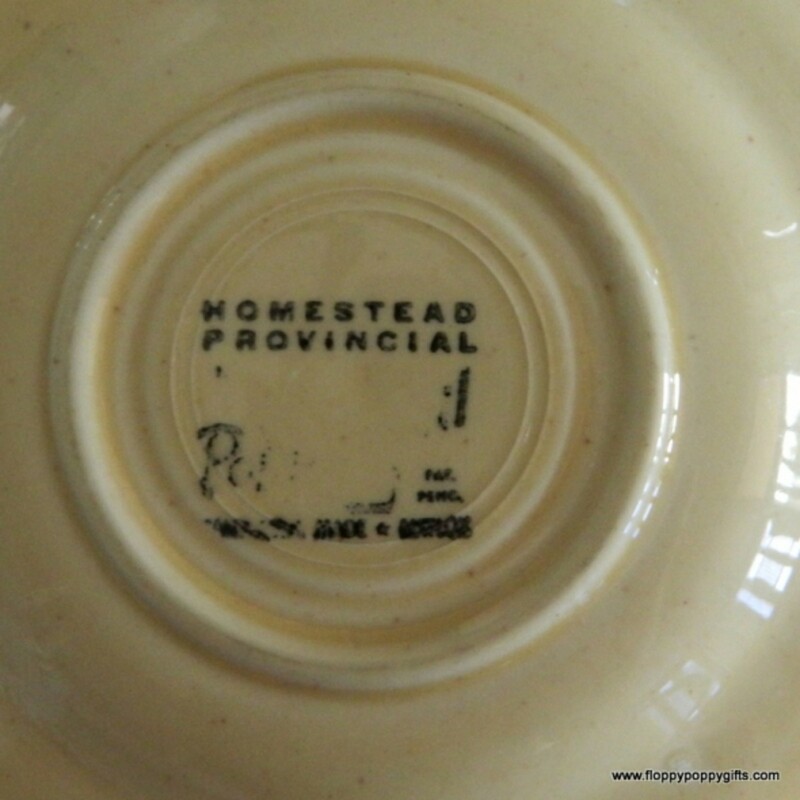 Learn more about collecting Modern Dinenrware, California Pottery & Depression pottery from these fine historians, experts & antique experts. Knott's Berry Farm-Better than Disneyland? Methinks yes. 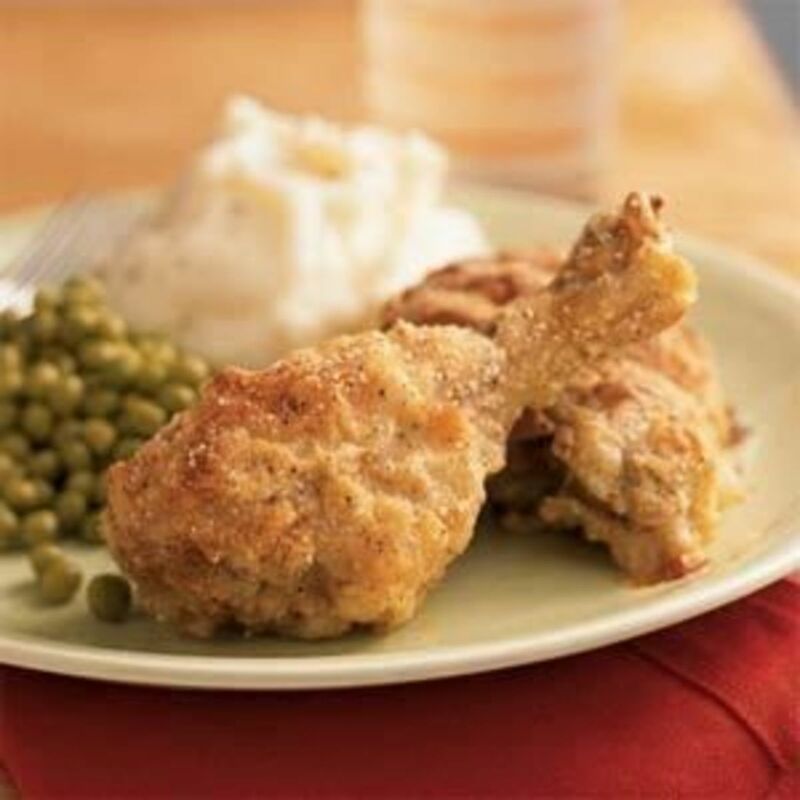 Enjoy this cool recipe for Mrs. Knott's Fried Chicken and be sure check-out the theme park the California insiders know is the ACTUAL best place to enjoy family-time in Southern California! Cover chicken with salted water and soak for 45 minutes. Drain chicken and pat dry. Coat each piece of chicken with flour and shake off any excess flour. Bring oil to a boil in an 8 1/2-quart saucepan, electric skillet or iron skillet and drop in chicken pieces. Do not overcrowd chicken in the pot. Cover and fry for 45 minutes. Remove chicken with a slotted spoon and drain on paper towels. In Tucson we have an outlet for a relic that has thrived since 1925! 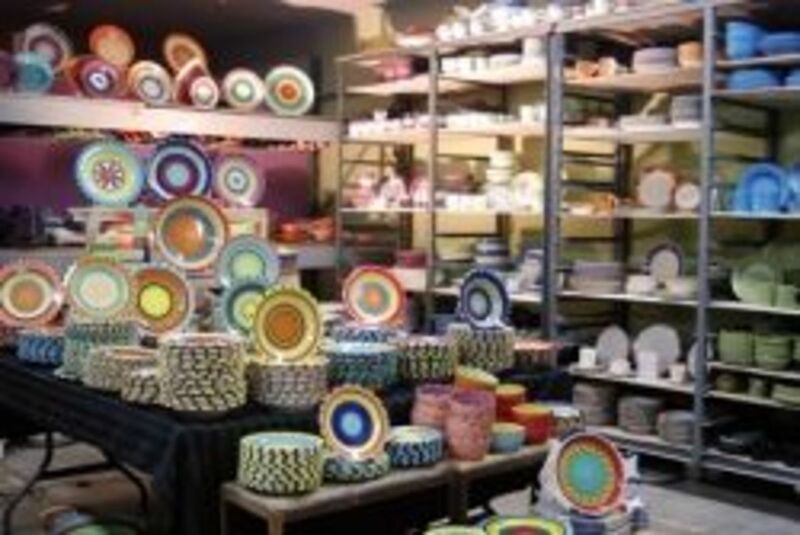 HF Coors is a pottery manufacturer who makes Fiesta Ware style plates and dinnerware. They also have artistic designs featuring the Day of the Dead. My favorite styles are their western motifs featuring brands (you know like a rancher uses to mark his cows) and the Sonoran style! Restaurant quality durability makes HF Coors a great modern-day go-to for rustic craftsman style pieces for your home or business! 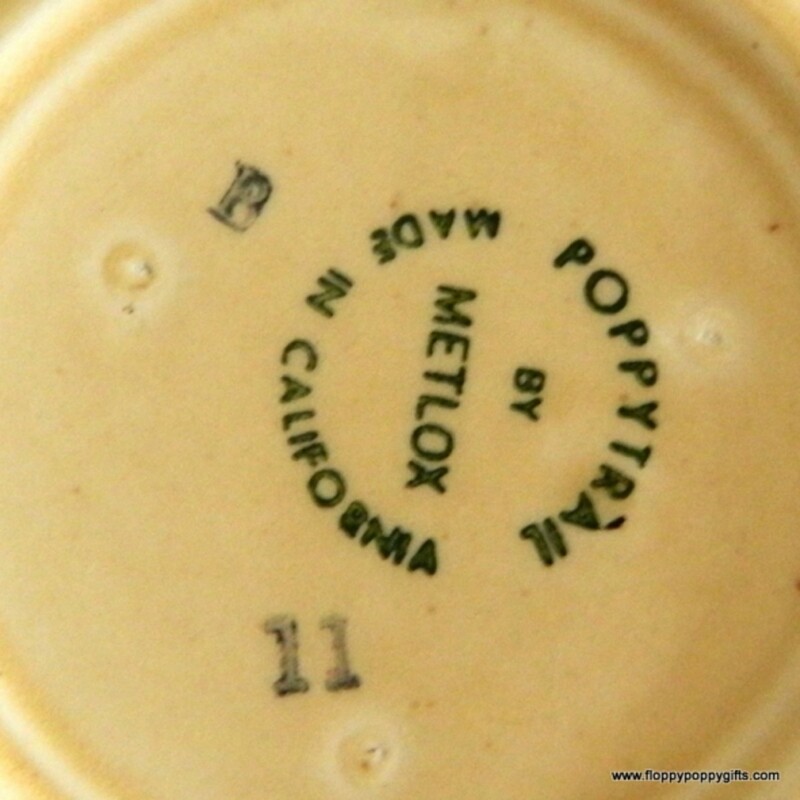 Read about the Metlox name & Poppy Trail pattern here. 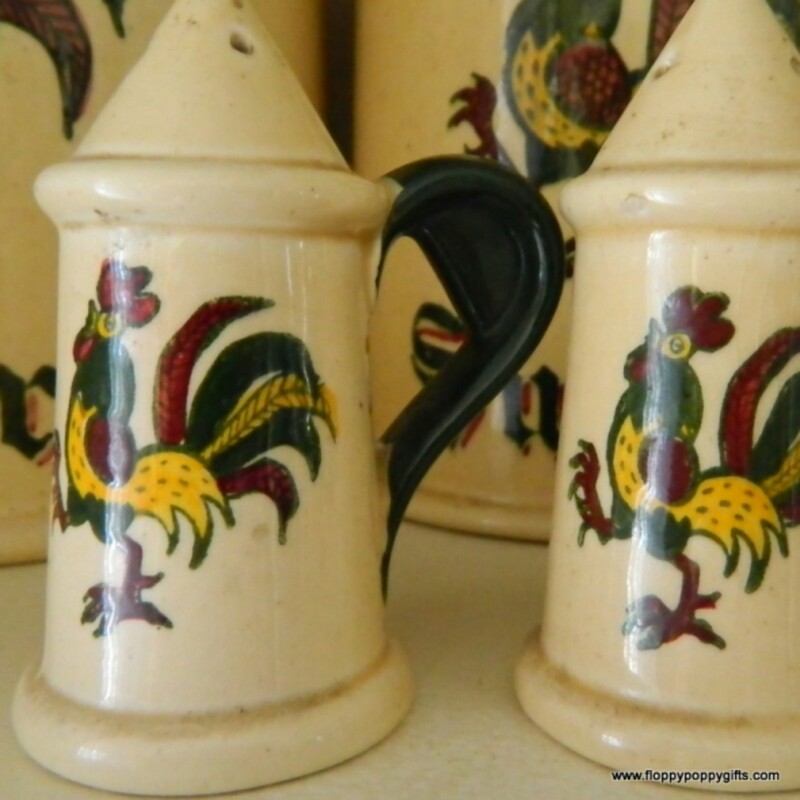 JS Online features a fun article the wacky world of Fiesta Ware collectors. Yep, it's a sub-culture! 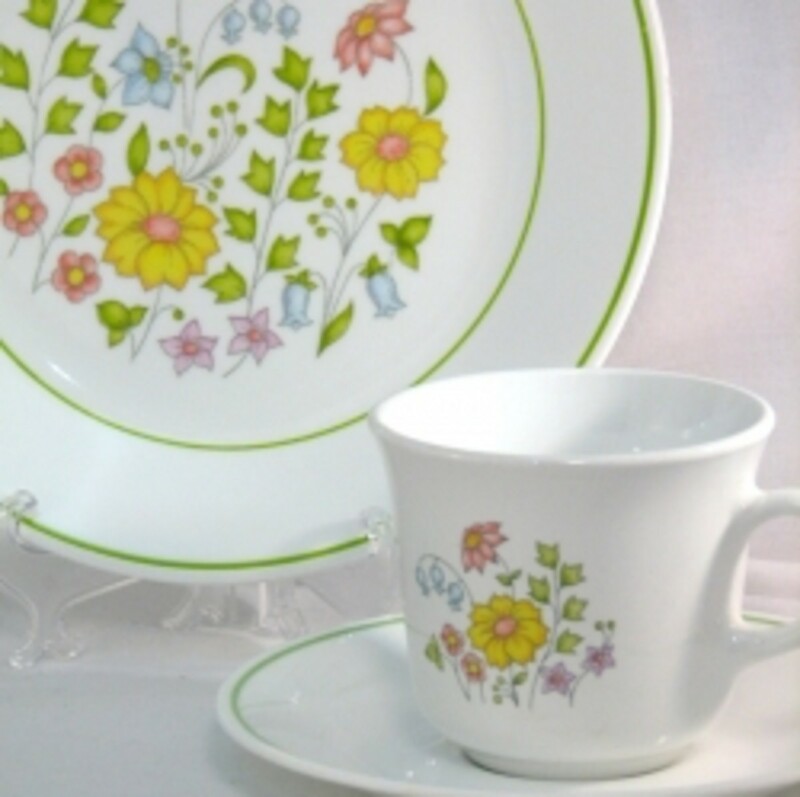 Do you like vintage dinnerware? 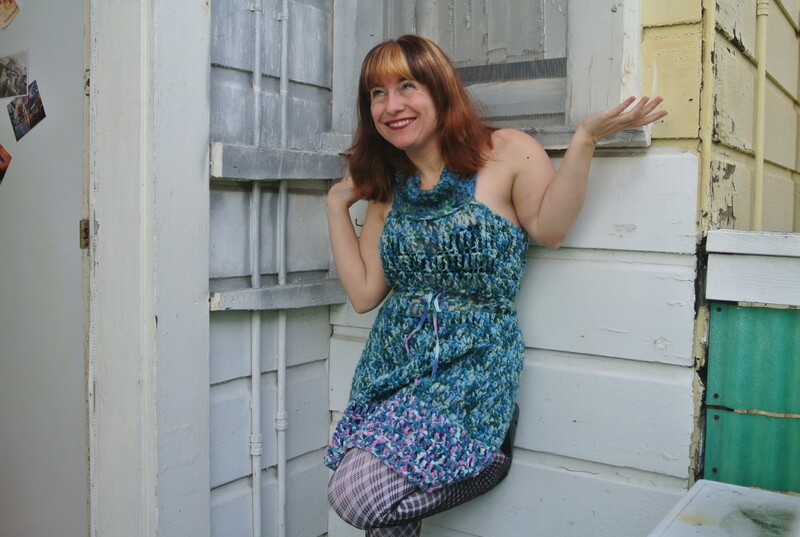 What is your favorite piece you have inherited, picked up second-hand or admire? I like both retro and chickens. Cool lens!